Drinking alcohol is legal if you are over the age 21, but drunk driving isn’t. Prescription drugs are legal if prescribed by your doctor, but driving under the influence of them and it impairs your normal faculties is not. Have you been charged with a DUI in Florida? The Ticket Clinic may help you get back on the road. Many of our DUI defense lawyers are former Assistant State Attorneys or former Assistant Public Defenders, meaning they have training in DUI and criminal trial procedure that sets them apart. Our team of Florida DUI attorneys are here to put their experience to work for you. Let us break down everything you need to know about driving under the influence. While most people only associate DUI charges with alcohol, Florida prohibits both drunk driving and driving under the influence of drugs while impaired. This means that someone can be arrested and charged with a DUI if they are under the influence of any substance or combination of substances that impair their ability to drive. In fact, many illegal or prescription drug DUI charges can apply even when someone has a prescription from their doctor. However, a person can also face drug possession charges if they do not have a valid prescription. How Do You Prove Someone Was Driving Under the Influence? The person drove or was in physical control of the vehicle. The person was under the influence of alcohol, a controlled substance, a chemical substance, or a combination of the aforementioned to the point of impairment of normal faculties. The person drove the vehicle. The driver’s BAC was 0.08% or greater while driving. 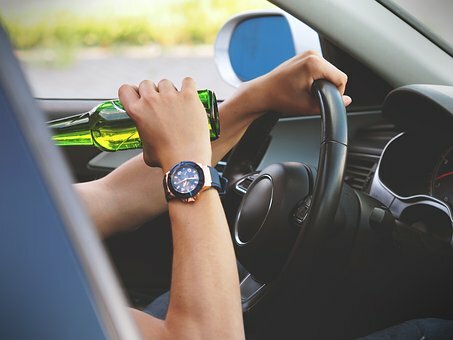 The legal BAC can differ depending on the age and type of driver; the legal limit is 0.04% for commercial drivers, and 0.02% for drivers under the age of 21. If either group is found to be over those BAC limits, their driver’s license will be suspended. Facing DUI charges in Florida? The Ticket Clinic is here to help. If the driver had a minor in the car, or their BAC was 0.15% or higher, the fine is between $1,000 to $2,000. If the BAC was 0.15% or higher, jail time is maximum 9 months. If the driver had a minor in the car, or their BAC was 0.15% or higher, the fine is between $2,000 to $4,000. If the BAC was 0.15% or higher, jail time is maximum 12 months. If the driver had a minor in the car, or their BAC was 0.15% or higher, the minimum fine is $4,000. Maximum jail time could be 1 year for misdemeanor, 5 years for a felony. What Are the DUI Penalties for Florida Drivers Under 21 Years Old? Do I Need a Florida DUI Attorney? While you could try to navigate the legalities of your DUI charge alone, why would you want to? DUI convictions in Florida come with serious penalties; the last thing you want to do is leave your future up to chance. Here at The Ticket Clinic, we refuse to let that happen. Our Florida DUI lawyers will work tirelessly to make sure your case has the best possible outcome. Get started on moving past your DUI charge and call us toll-free at 800-625-5235 to schedule a free consultation.